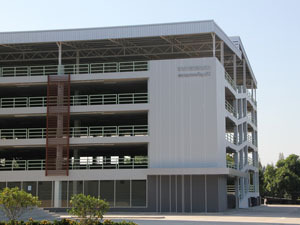 The Location of The New Lumpinee boxing Stadium on Ram Inthra Road Anusawaree,Bang Khen, Bangkok. 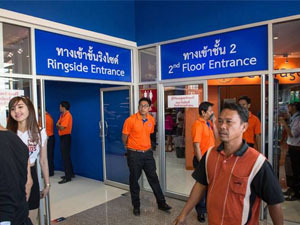 The Best way to the stadium ,You should go by BTS get off at Mor Chit station or go by MRT get off at Phahon Yothin station and then you should go by taxi to the Lumpinee Boxing Stadium. 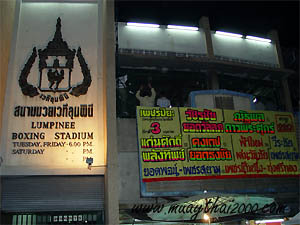 Lumpinee box stadium was established on the eighth of December, 1956. 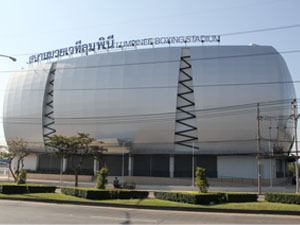 It ‘s one of Thailand ‘s seven standard boxing stadiums. 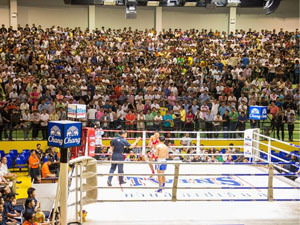 It’s famous not only creating and producing leading Thai boxers but also promoting the arts of Thai boxing both domestically and internationally. 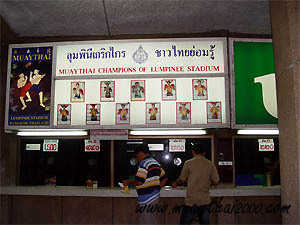 Lumpinee Boxing stadium also produces many western boxers to become world Championship holders. For domestic activities, it encourages to produce career to the boxers, the promoters including presents entertainment to all who are interesting in this particular sports. 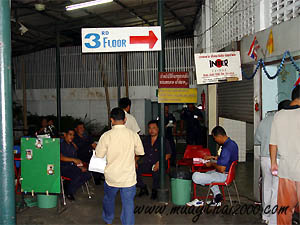 Lumpinee boxing stadium is the Royal Thai Army affairs in order to give services to the Royal Thai army officials and support various departments of the Royal Thai Army. Protect and promote the arts of Thai boxing to be the individual arts of the Thai people as U-DO of Japan and TEKWANDO of the Republic of South Korea. 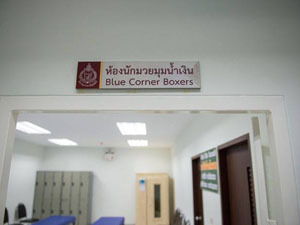 Upgrade careen for Thai and western boxers to be the permanent and firm one. 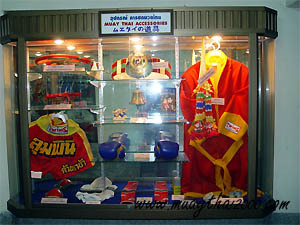 Create the champion of the western boxers in order to promote the renown of the Thai nation. Co-operate with various Institutions which aim to the same goal. To manage and work according to government's policy. 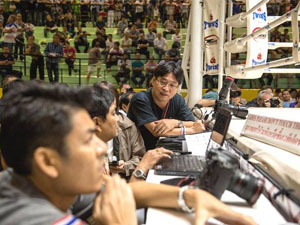 Part of the income from the Lumpinee Stadium must be donated for the benefit of the society. 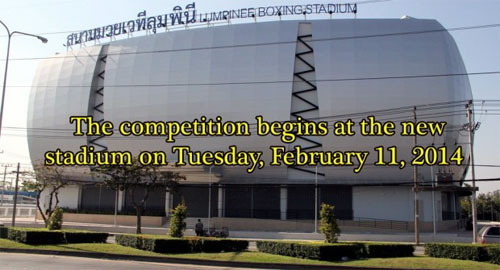 To develop Lumpinee Stadium into an internationally recognized stadium and to make Muay Thai known to the international community. To promote and create more international boxing champions. 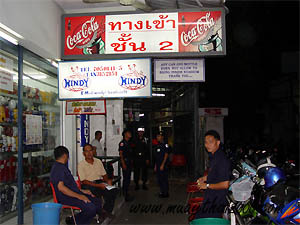 To co-operate with Thai Boxing Association to encourage Thai's boxer in receiving Olympic Gold Medal. To be sure that all promoters produce efficiency events and charge the ticket at the fair price. To develop good quality Muay Thai judging techniques with the same standard nationwide. 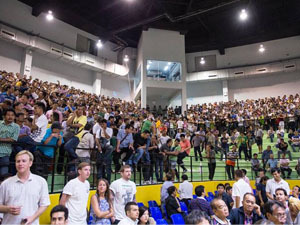 To provide safety for the spectators including personal belongings and to prevent any cheating in the stadium. 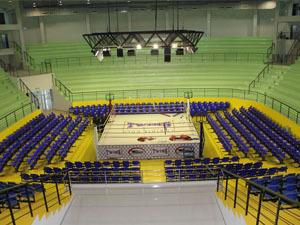 To co-operate with Thai Boxing Association, Rajadamnern Stadium, other stadiums, and institutions with the same purpose. To have well establish relationship with the mass communications and the people. Must have good quality Muay Thai Camp and fighters under controlled. Must be willing to work hard. Must work for the interest of the boxing community. Must follow the stadium's policy. Must have the discipline of the military. Must match up compatible fighters and produce well to watch program at the fair price. Must have good human relation with those involved in boxing community. 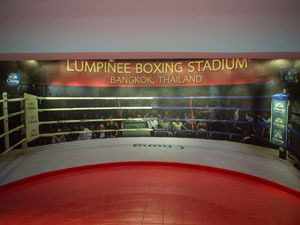 Must not tarnish the image of Lumpinee Stadiumin anyway. Must have love, unity, constructively within his attitude. Copyright © 2003- 2019 Sport Forum Co.,Ltd. All rights reserved.